Breakfast time with some stunning scenery to match. 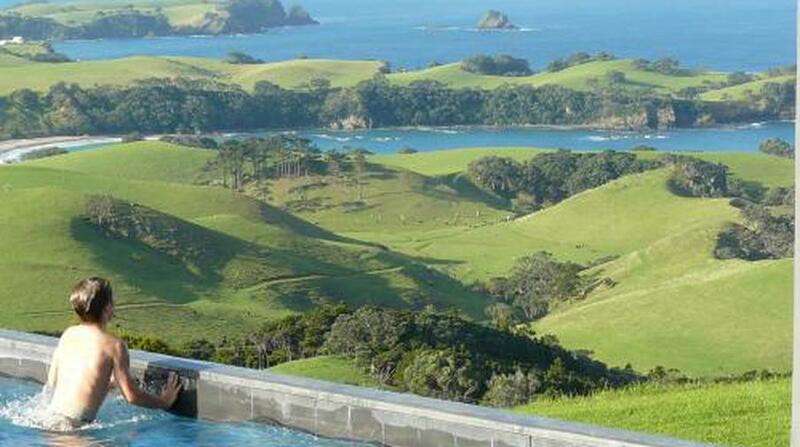 Northland Eyrie with stupendous views! Soar with the eagles on this glorious hilltop location. 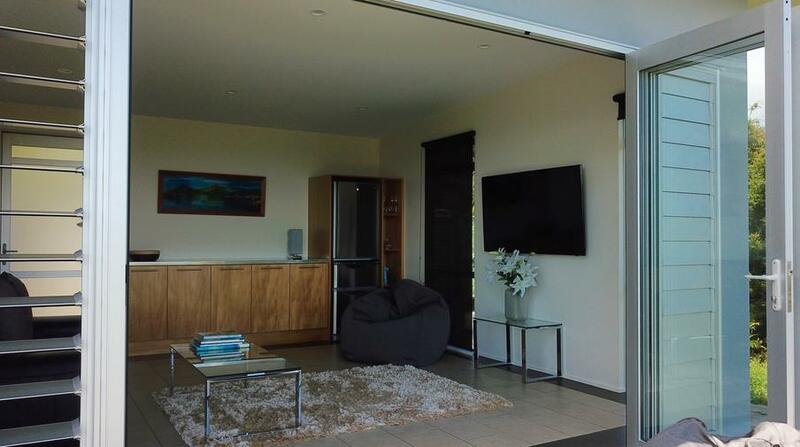 A private, self contained guest wing of a larger home. 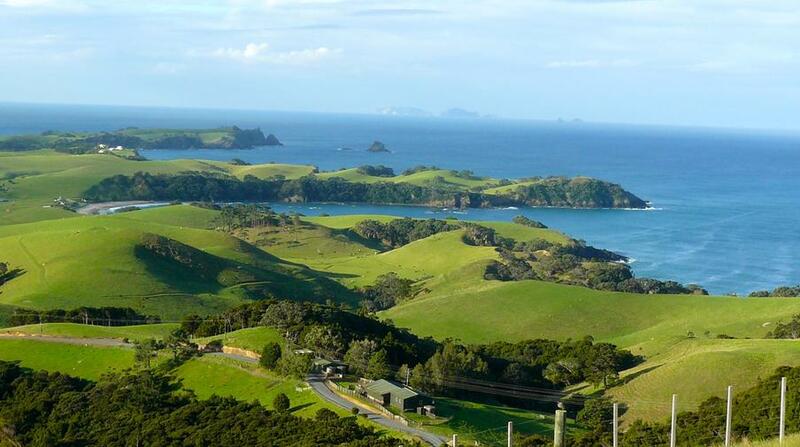 Set in an area of stunning beauty on Northlands glorious east coast. Relax and take in the incredible views from your deck lounger by the 15m long heated lap pool. Peace, quiet, tranquility. Amazing place, stunning view! We will definitely be back. Thanks for being a wonderful host. We stayed at Hilltop Northland, which is a duplex, but you don't park or enter on the same side as the family who owns the other side. 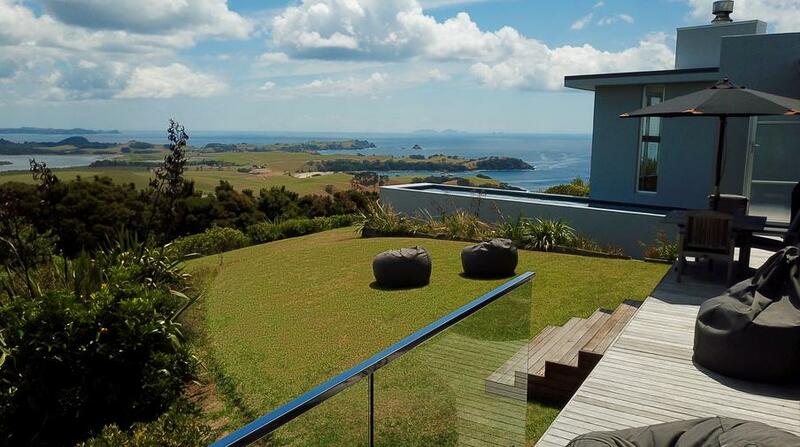 The house is on top of a hill that overlooks the ocean, which is beautiful all day. We cooked our meals on the outdoor bbq and would eat as we watched the sun set into the ocean. The hosts met us when we arrived and were there to help us with anything we needed (via email or phone). They brought us out to the ocean and lent us some kayak, which was an amazing experience. Oh and it was included in the price (or it was when we booked)! Other than the kayaking, there are a lot of nature-based things to do in the area including some really great hiking. The room itself was nicely appointed, quiet, and the bed was comfortable. I cannot emphasize enough how great this place was! 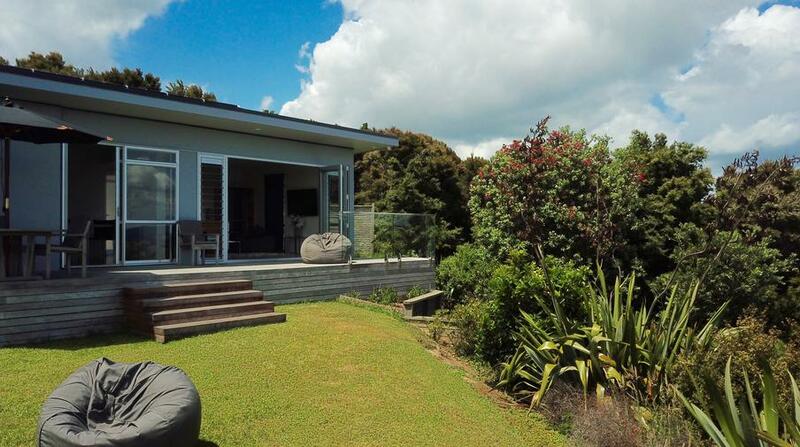 We stayed at Hilltop Northland which is a two bedroom self-contained wing attached to the Owner's house. The Manager checked us in, and gave us the tour, very helpful and friendly, then left us to soak up the jaw-dropping view and utter silence ... well, there may have been a bird or two twittering, but that just added to the relaxing feel. The accommodation was well-appointed, with a King bed in one room and twin beds in the other. The kitchen had the essentials (small fridge, convection microwave, two-burner cooktop) along with some pantry items - plunger coffee, oil, salt/pepper, herbs/spices. The best place to stock up for meals though is at the Countdown supermarket in Whangarei, which is about a 30 minute drive, so come prepared. Lovely spacious bathroom with separate shower and deep bath, hairdryer, bathrobes and pool towels. The pool was ready for our arrival, and warmed to around 27 degrees. You just need to wind up the cover (which is what keeps it warm), and put it back on when finished. You do share this with the Owners, who were there at the time, and they were also using it occasionally over the four days that we were there. There is free Wi-Fi - it's a bit patchy, but will get you by if your teenager is desperate for some outside world contact ! Hilltop Northland was a serene and peaceful retreat to come back to after a day of sightseeing, and I would recommend it if you are looking for a quiet escape for a few days. Absolute world class views. The service provided by hosts was very good, the house was very clean. A small kitchen and dining area was the only negative in our view. Otherwise an excellent experience.